A baby has been born in China to a surrogate mother four years after his parents died in a car crash, BBC News reported. The couple, who died in 2013, had frozen several embryos hoping to have a child through IVF. After the accident, their parents fought a protracted legal battle to be allowed to use the embryos. The boy was born in December to a surrogate from Laos and The Beijing News first reported the case this week. The newspaper explained how the lack of precedent for a case of this kind had forced the deceased couple’s parents through a legal minefield before the surrogacy could proceed. According to reports, at the time of the accident, the embryos were safely stored in a Nanjing hospital, frozen at minus 196 degrees in a liquid nitrogen tank. A court battle gave the four grandparents-to-be the right over the fertilised eggs. Since no precedent existed, they were eventually granted the embryos. However, the embryos could only be taken from the Nanjing hospital if there was proof that another hospital would store them. But given the legal uncertainty around the untransplanted embryos, it was hard to find another medical institution in China willing to get involved. And with surrogacy illegal in China, the only realistic option was to look beyond the country’s borders. Eventually, the future grandparents worked with a surrogacy agency and decided on Laos, a country bordered by Thailand and Vietnam where commercial surrogacy was legal. The thermos-sized bottle of liquid nitrogen containing the embryos had to be transported by car as no aircraft was willing to transport it. 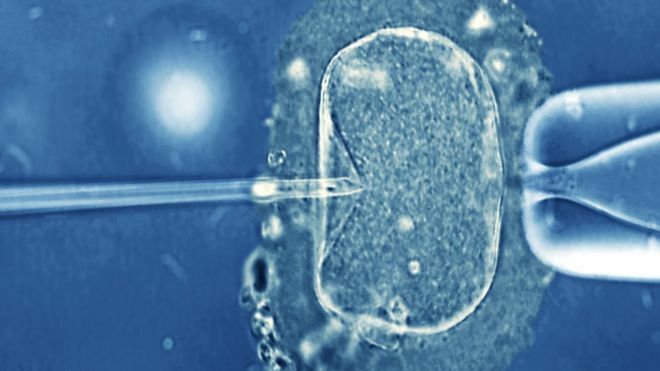 In Laos, the embryo was implanted into the womb of the surrogate mother who finally gave birth to a boy in December 2017. Getting the citizenship of the child, named Tiantian, proved to be another hurdle as he was born in China and not Laos, with the surrogate travelling there on a simple tourist visa. With no parents left to prove paternity, all four grandparents had to give blood and take DNA tests to establish that the baby was indeed their grandson and that both parents had been Chinese nationals.